Creating Reactions for Desktop, Mobile and Tablet. 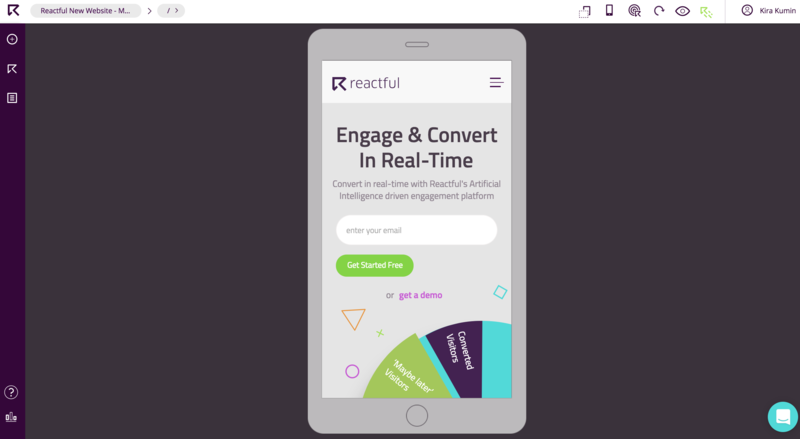 When you enter the Reactful Studio, by default, you are in the Desktop device view. When creating reactions in this view, you create Reactions that are only shown on Desktop devices. To create Reactions for Mobile and Tablet devices, you need to change the device view. The reason we prompt you to create Reactions for each device is because we have designed them with the appropriate dimensions to remain aesthetically correct for the device type. 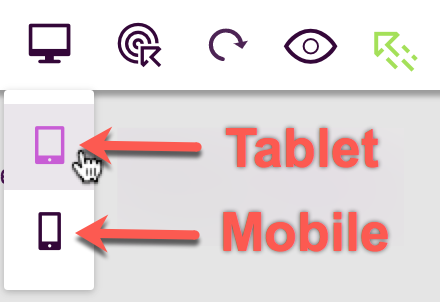 Click on the icon and a dropdown menu will appear with two other device types: Tablet and Mobile. Create Reactions the same way by opening the panel on the left and choosing the first option. See how to create reactions here.